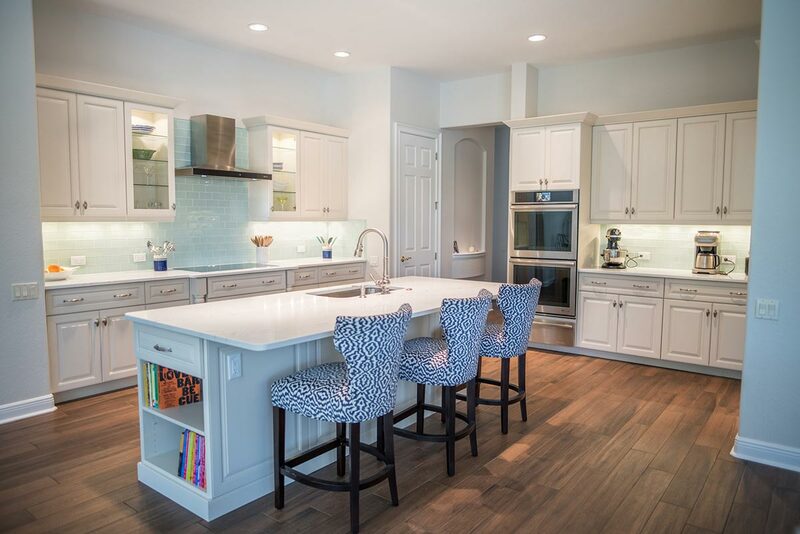 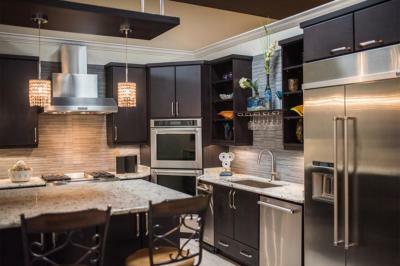 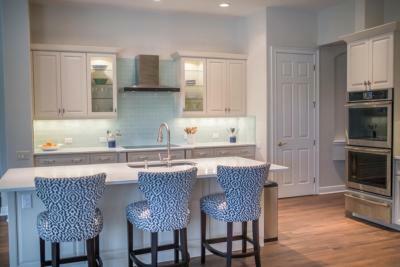 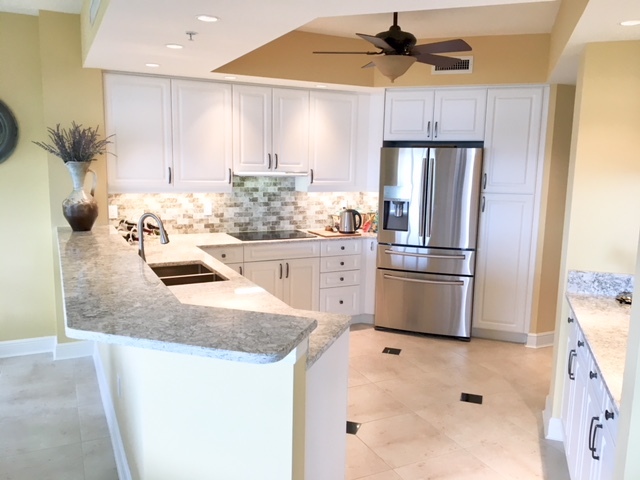 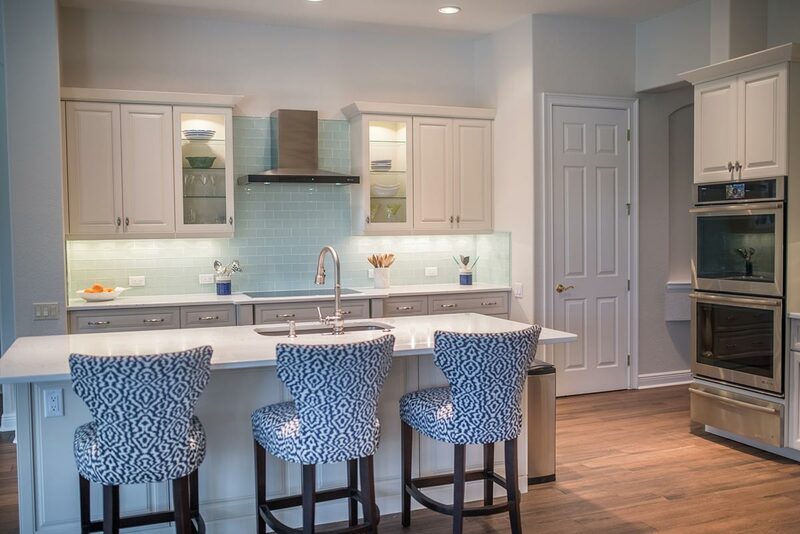 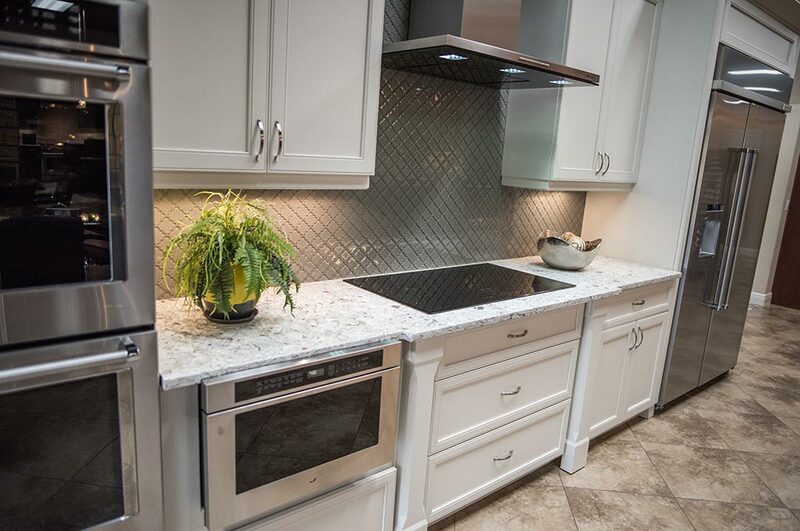 Take a look at our gallery and see how we have WOW’d our customers by completely revamping their kitchens with our custom kitchen remodeling services! Kitchens are at the heart of almost every household. It’s where families gather, conversations happen and holidays are celebrated. 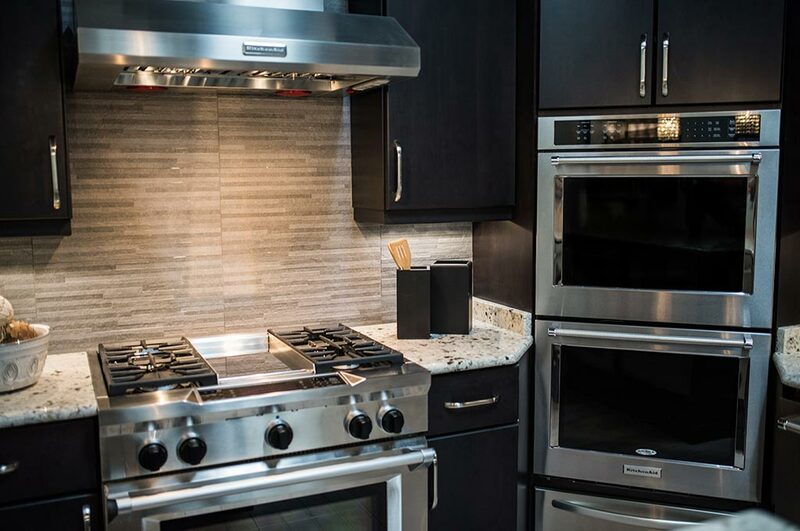 Not only will we turn your dream kitchen into a reality, we will also work with you throughout each step of the process to make it enjoyable. 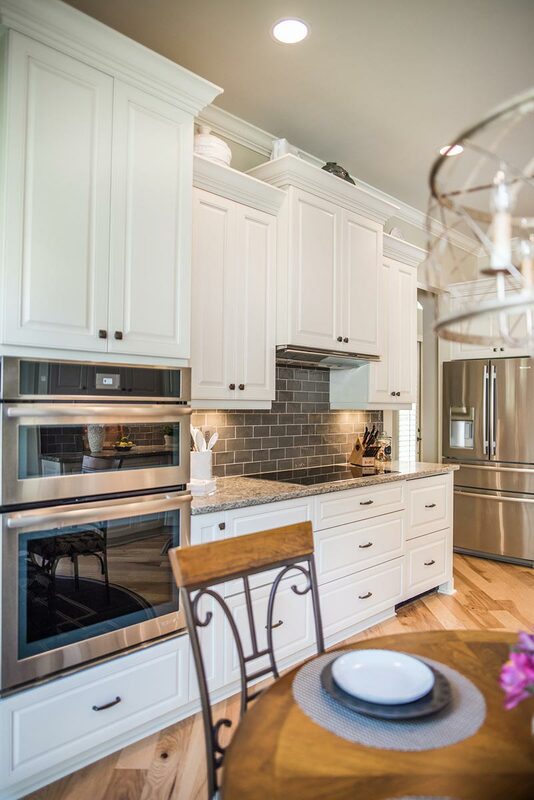 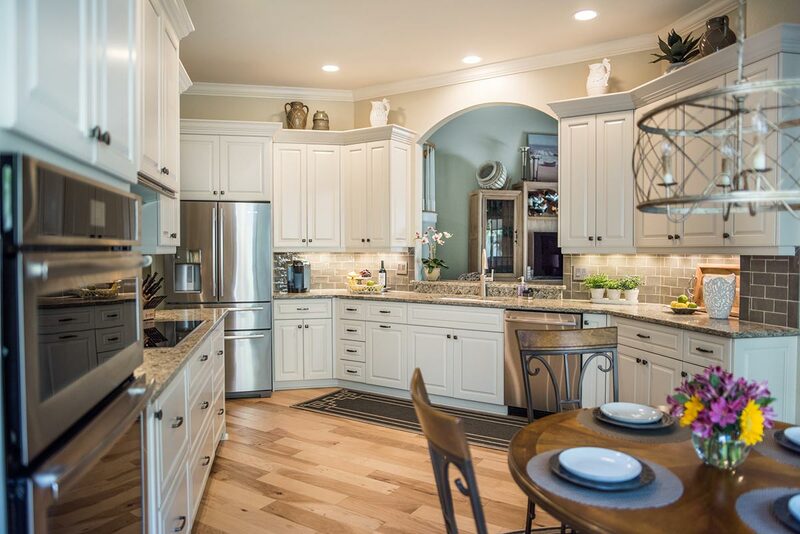 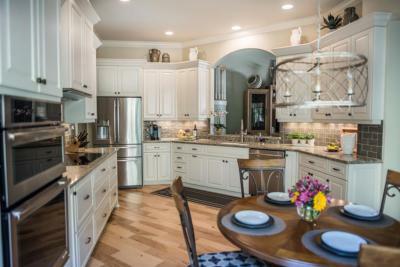 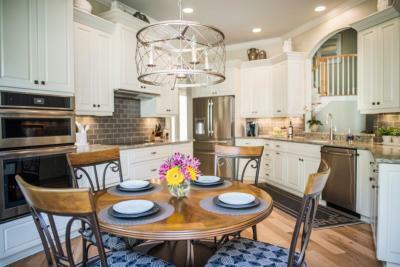 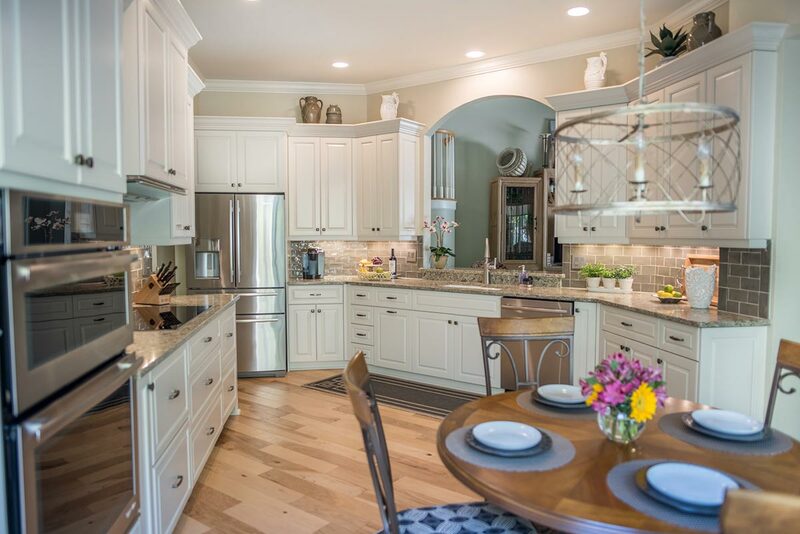 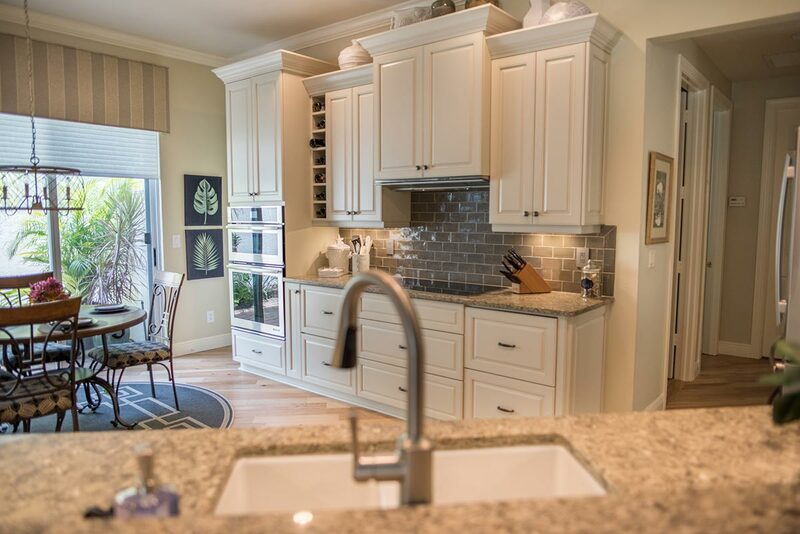 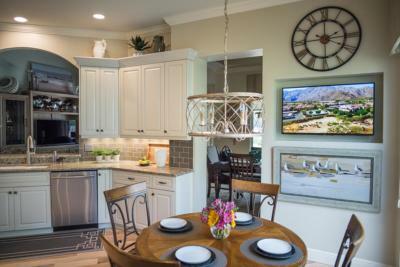 From cabinet refacing to building new custom kitchen cabinets and everything in between, Cornerstone has the expertise to completely redesign your kitchen, leaving you speechless whenever you walk into your kitchen! Keep scrolling to learn more about the amazing options we offer to transform your kitchen with our custom kitchen cabinets! 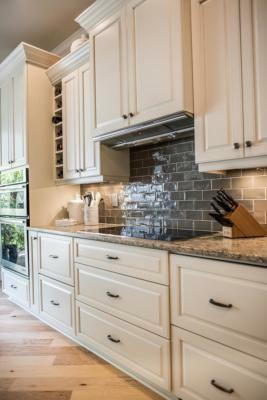 Kitchen cabinet refacing involves all new doors, drawer fronts, hardware, and hinges and the re-laminating of your existing cabinet boxes. 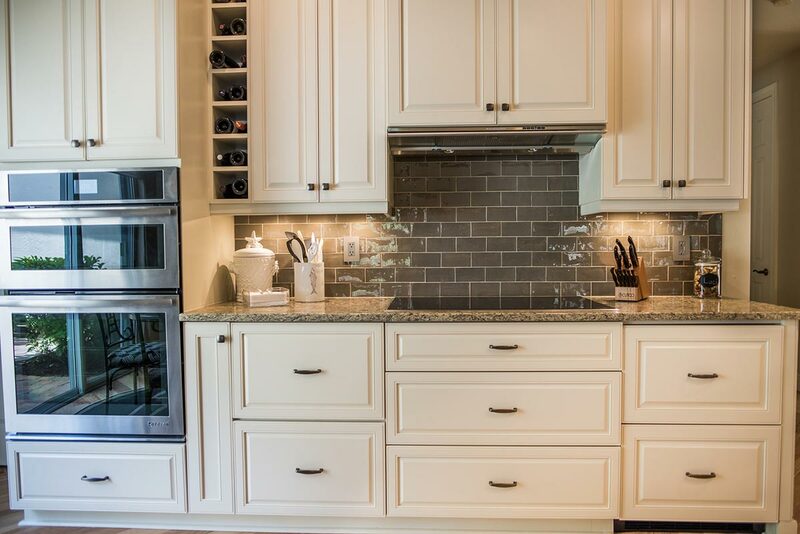 From the outside, your cabinets will look brand new! 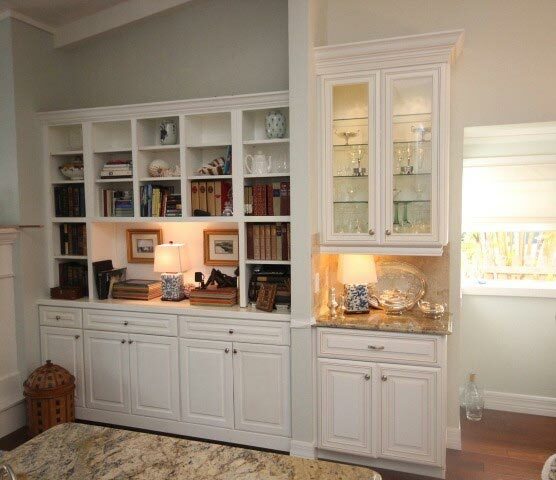 First, we’ll remove and dispose of your existing doors, drawer fronts, hardware and hinges. Then, we lightly sand your cabinet exteriors to prepare them for the new laminate or veneer. 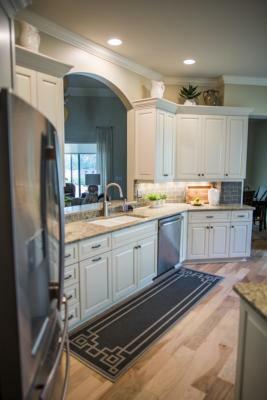 New laminate or veneer is then applied to the cabinet box exteriors before the new doors, drawer fronts, hardware and hinges are installed. 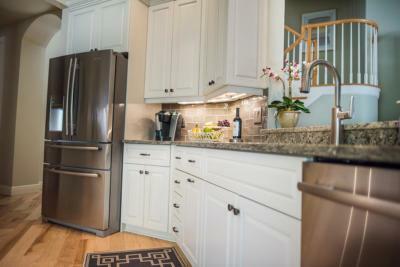 Most kitchens can be refaced in one to three days. We can also add upgrades like crown molding, rollout shelves and decorative end panels that will take your kitchen to the next level. 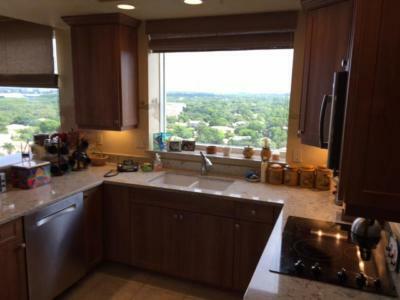 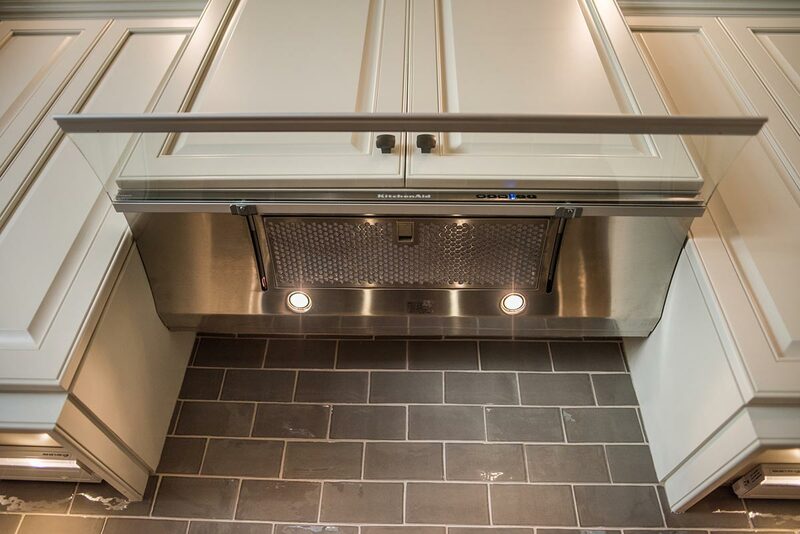 We also build custom kitchen cabinets utilizing both solid wood and Thermofoil doors. 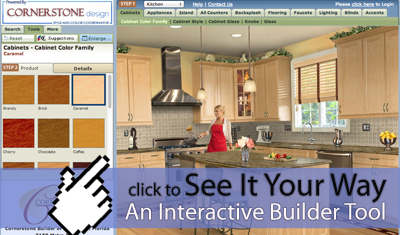 Our designers will help transform your kitchen so that it’s fully customized and perfect for you! 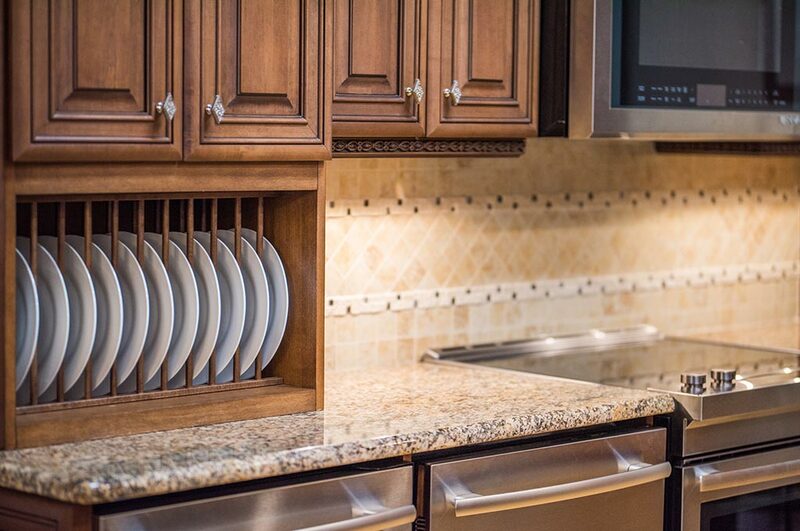 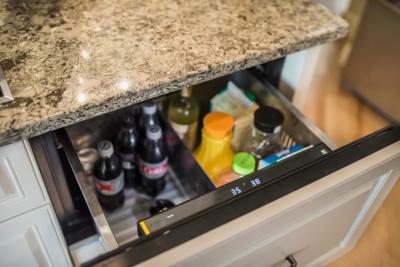 We’ll measure everything ahead of time, remove and dispose of your existing cabinets and install your new custom-designed and custom-built kitchen cabinets usually that same day. 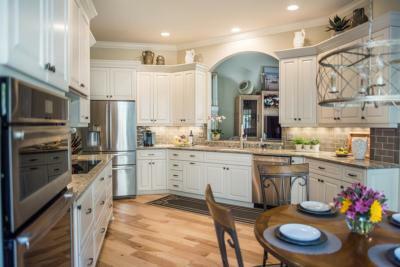 Within a few days, you will have new kitchen cabinets! 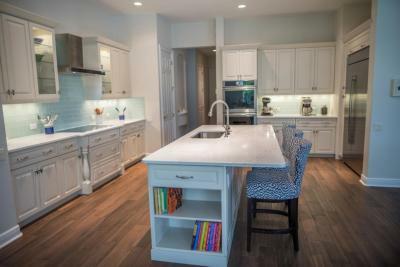 Then, you can move onto the countertop portion of the project. We don’t stop at refacing and remodeling custom kitchen cabinets. 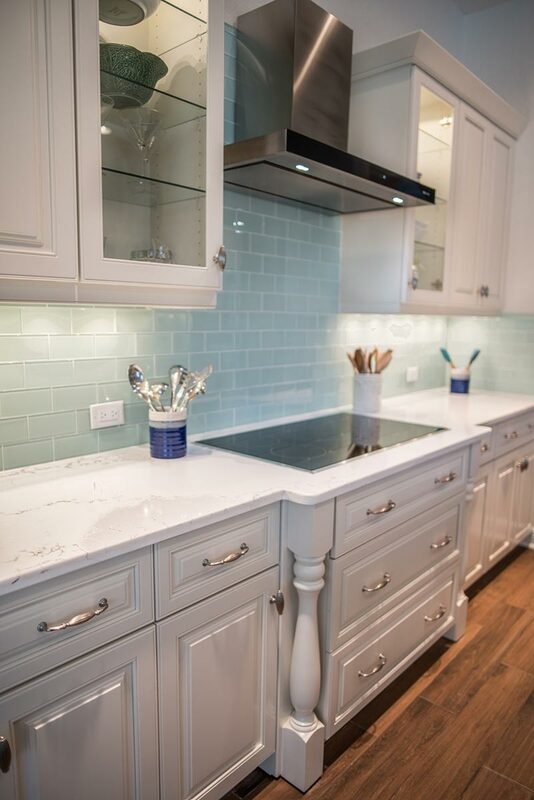 We also produce all of our countertops in-house, meaning quicker turnaround times for your convenience! We supply Granite, Quartz and Solid-Surface countertops and each material is fabricated and installed by our experts. 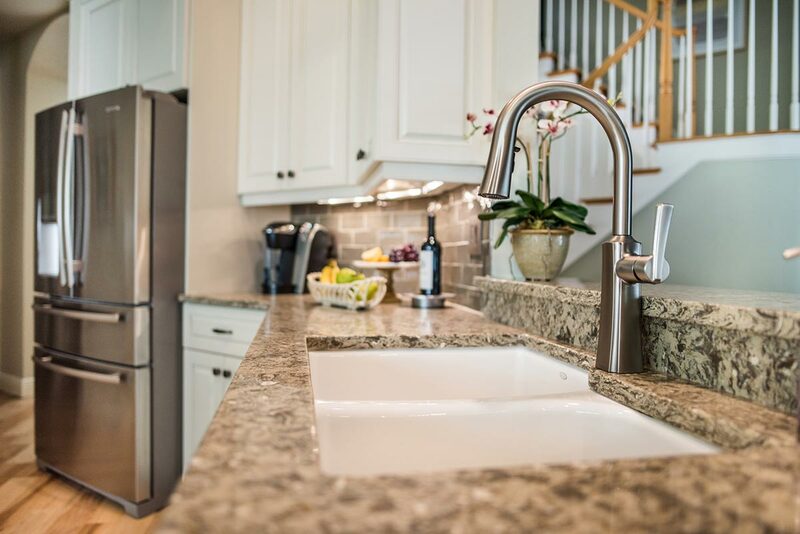 First, our templaters will come to your home to measure your existing countertops to ensure your new ones will fit perfectly! Then, we’ll take the template back to the shop to fabricate your new kitchen countertops. 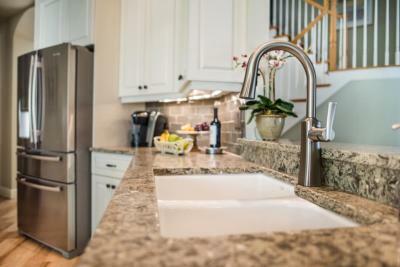 Within a week, we’ll remove your existing countertops and start installing your new ones! The installation process takes just 1-2 days.